Please login for access to membership benefits. 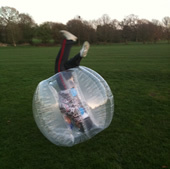 We are now offering Body Zorbing parties at our Didsbury venue. Go Kiddy Karts Manchester Indoor Go Karting parties for 4-9 year olds. If you are interested in booking a group session or party, or if you want further information, then please give us a call on 07956 557653 or drop us an email at enquiries@go-kiddy-karts.co.uk. Please fill in the form below if you would like to book a party or if you would like further information. This form is for information only and you are not making any commitment to pay for a party at this stage. If you choose 'Other', we would really appreciate it if you could tell us about any further info about where you found us, like the name of the nursery or public event, etc. BodyZorbing Manchester (Parent Company - Go Kiddy Karts Ltd) will only use the information you provide here for the purpose intended. We will not disclose the information to a third party. Site design and graphics by Miamox Technologies, Copyright © Redmox Leisure, UK, 2006-2017. All rights reserved.